One pair of Tamara Henriques "Tweed" Rainboots/Wellies in size 41 (US Women's size 9.5) for sale. These are in excellent condition and originally cost $199. The colors are beige, brown, pink and blue in a tweed like print. 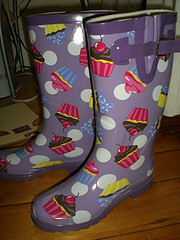 You can visit this website to read more about these fabulous wellies from England! http://www.tamarahenriques.com/about.html They are darling! Visit the SASshoes.com website to learn more about these very comfortable, well made shoes! Per their website: "Handcrafted shoes made from the hands of Master Craftsmen make every step a comfortable one. Handcrafted comfort. Fine Leather Shoes." You can find pictures of each of these pairs on their websites. Suntimer Black 8W - Brand New in Box $90 (retail was $111) The closure on this pair is easy to handle velcro! Suntimer Black 8W - Almost Brand New in Box $90 (retail was $111) - these shoes were tried on and walked on for less than 5 minutes. The closure on this pair is easy to handle velcro! 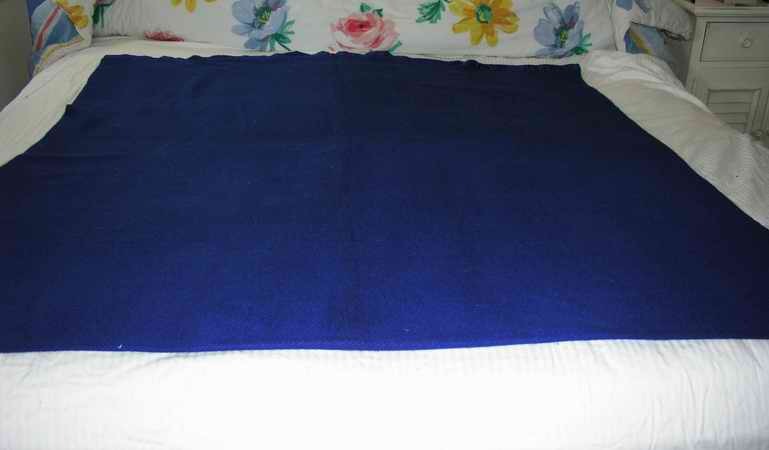 This is a very heavy weight 6 PLY 100% Cashmere Blanket/Throw in a Gorgeous Deep Royal Blue. 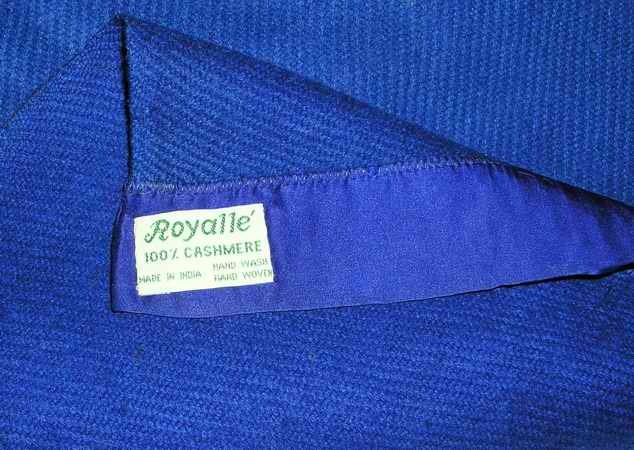 (It is a darker royal blue than the pictures show.) It has satin binding on both ends. The first picture shows it laid out on my CA King Size bed. I bought this as a 40th birthday present to myself. What I failed to take into consideration is that I live in Southern California, 5 miles from the beach and it literally never gets cold enough to use this blanket! (I forgot to buy the Million dollar Mountain house to go with the blanket!) I barely used it and it has been sitting in a drawer for the past 12 years (with moth protectors) unused. Now, as age would have it, I'm having HOT FLASHES so this blanket is even of less use to me! I bought it to use as a throw but it can also be used as a blanket on a twin bed or as an extra blanket on any other size bed. It is VERY WARM! It is in excellent condition. Most cashmere blankets are 2 ply. This one is much thicker. Retail on it was about $1500. I was given this as a gift some 25+ years ago and have never used it. This is a discontinued Lenox Florentine Collection Bud Vase measuring approximately 10 7/8" H X 2 1/2" in diameter at the widest area X 1 3/8" in diameter at the top X 2 3/4" at the base. 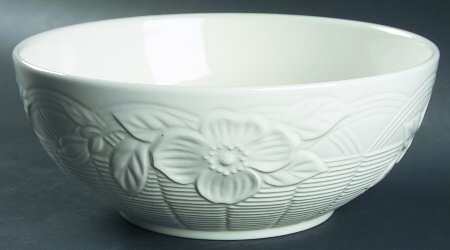 The vase features an embossed leaf motif. The underside features the Gold Lenox Stamp. It's beautiful but I've made a habit of only displaying things that aren't breakable. My pets and I are happier that way! I graduated from USC in 1981. At that time, my mom bought me USC water glasses in the USC bookstore. I've never used them! Time to get rid of them! I should have 8 but right now I can only find 7. These could also be used for wine. They are pretty big and hold about 24 oz. $5 each.